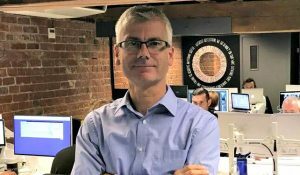 Former Moneysupermarket.com managing director Stuart Glendinning has returned to the UK to join Chester-based fintech company Digitonomy. Glendinning, who spent nine years at Moneysupermarket, joins in a full-time role as a director. For the past three years he has been based in Hong Kong, leading the growth of price comparison on the continent for CompareAsia Group, most recently as chief sales officer. Describing Digitonomy as "one of those super-successful businesses that no-one has ever heard of", Glendinning said: "There is no bigger fan of price comparison sites than I but after 17 years in the sector no-one knows their weaknesses better! Digitonomy was founded five years ago by Tim Moss, former head of credit cards, loans and debt at Moneysupermarket. It owns a portfolio of financial services websites including Loans Hub and Energy Heroes, attracting customers through a mix of PPC campaigns, SEO and affiliate marketing. Earlier this year, the company was fined £120,000 by the Information Commissioner's Office (ICO) for sending millions of text messages without permission. An ICO investigation found the company used affiliate marketing companies to send out over five million messages offering cash loans as part of a marketing campaign.